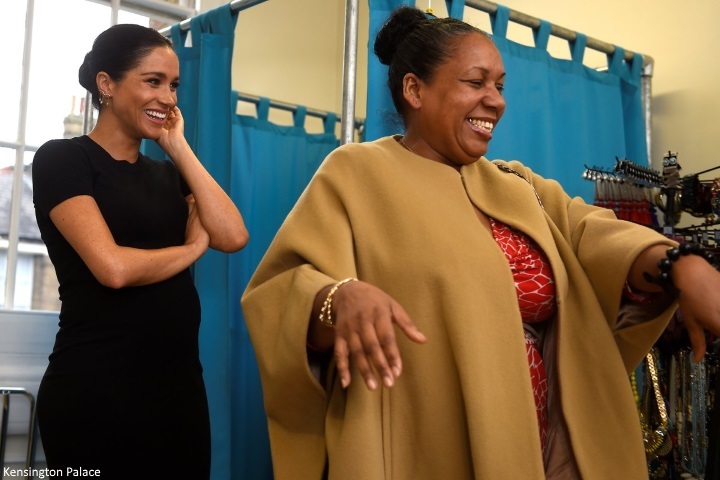 Mad About Meghan: The Duchess Visits Smart Works as Chosen Patronages Revealed! The Duchess Visits Smart Works as Chosen Patronages Revealed! Following a year of private meetings, research and discussions, which organisations has the Duchess chosen to lend her patronage to? Which causes will shape her work in the coming years? The Palace announced four patronages for the Duchess involving the arts, education and the Commonwealth, empowering women and animal welfare. 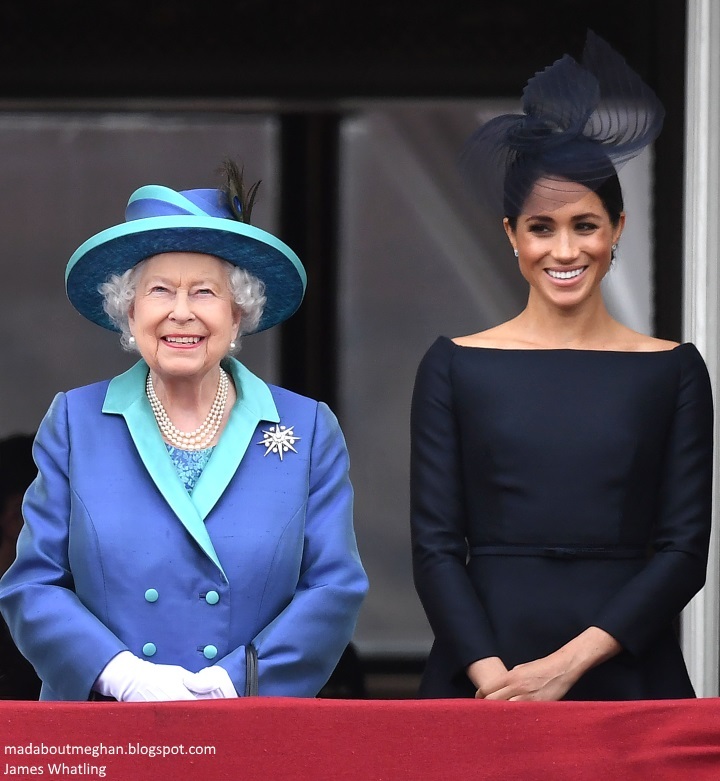 In a very public sign of support and confidence, the Queen has passed both the patronages of the National Theatre and the Association of Commonwealth Universities to Meghan. The Duchess also chose animal charity Mayhew. 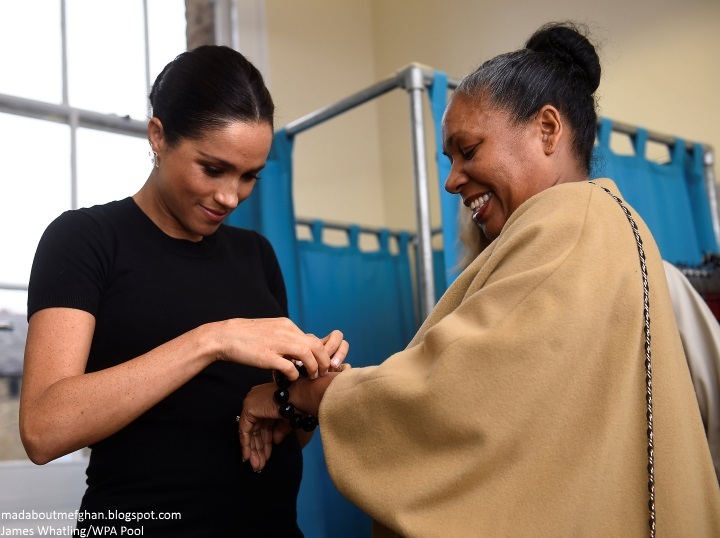 The news coincided with a visit to Meghan's fourth choice Smart Works, a charity helping long-term unemployed and vulnerable women regain skills and confidence. This morning, Kensington Palace said: "The Duchess is delighted to become Patron of both national and grassroots organisations that are part of the fabric of the UK, and is very much looking forward to working with them to bring wider public attention to their causes. Her Royal Highness feels she can use her position to focus attention on, and make a particular difference to these organisations and, more widely, the sectors they each represent." It is understood Meghan has paid numerous visits to each of the four chosen organisations. The Palace said she is "very much looking forward to working closely" in her chosen areas in addition to her work as patron of the Royal Foundation. Meghan was warmly welcomed by Juliet Hughes-Hallett, Chair and Founder of Smart Works. 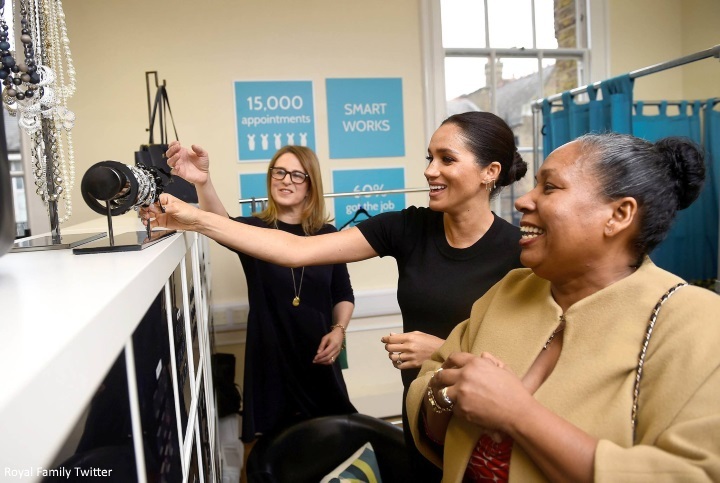 Speaking about the news Ms Hughes-Hallett said: "We are thrilled to announce that the Duchess of Sussex will become the Royal Patron of Smart Works. An acknowledged champion of women and their rights worldwide, the Duchess will motivate ever more women to come to our centres and get the job that will transform their lives. The Duchess’s patronage will inspire the women we serve and help them reach for the stars. We have been honoured to welcome the Duchess to our West London centre and see her engage with our clients and volunteers. Her empathy and insight were obvious. The Duchess is a natural coach and our clients were inspired and helped by her." We are constantly learning about Meghan's efforts for causes she believes in before she met Harry. 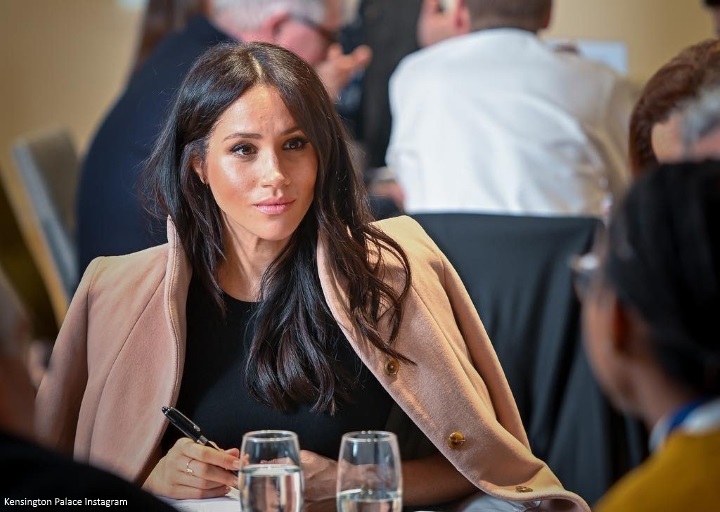 KP shared additional insight from her university days: "Her Royal Highness has also been involved with several other projects in this sector, including a project whilst at university which provided prom dresses for young women in underprivileged areas. The Duchess has a longstanding track record of working in the space of women’s empowerment both in her local community as well as abroad. In recent years, Her Royal Highness has travelled to India and Rwanda working on projects to mobilise women in challenging or marginalized situations to see their full potential." CEO Kate Stephens told the Mail Online: "She's really hands-on and involved, and has a natural empathy with people that we've been really impressed by, she's amazing. She puts people at their ease. It does feel slightly surreal." Meghan's support will offer an invaluable profile boost in terms of awareness and fundraising. Half of Smart Works clients are from an ethnic minority, are long-term unemployed and have been unsuccessful with a large number of job applications. Thanks to the charity’s support, 60 per cent go on to get a job following their time with Smart Works. In addition to providing complete outfits of high quality clothes for job interviews, beneficiaries also have access to one-to-one interview training and the opportunity to join Smart Works Network, meeting every month to further their professional and personal development. Women are referred to the network from job centres, mental health shelters, care homes and prisons. A third of participants have been turned down by more than 50 employers. 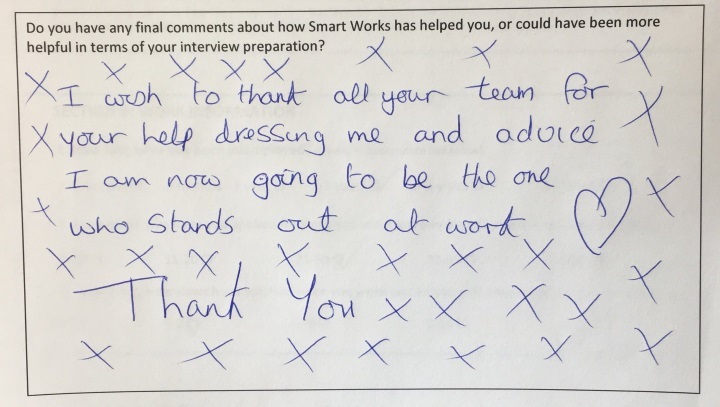 Smart Works has helped over 11,000 women and aims to offer interview clothing to 3,500 women this year across their two London offices and additional bases in key cities across the UK - Edinburgh, Manchester, Reading, Birmingham and Newcastle. They were named Social Action Charity of the Year 2017 at the National Charity Awards. Meghan sat down with staff, volunteers and participants in Smart Works to discuss the positive impact of their work. The Duchess noted she was drawn to their efforts due to the community aspect: "It's not just donating your clothes and seeing where they land, it's really being part of each other's success stories as women, right? It's not just hand-me-downs, it's saying this is the blazer I wore that helped me win that interview and this is the piece that helps that woman get that part of her story. So to know, as a woman coming in, that you have so many other women believing in you is the piece that makes it so special." The video below is packed with quotes. Hannah Furness reports: "Meghan later told the group, which included two former clients: 'I'm so happy to be here. You guys know I've been quietly coming by - close to a year. It's nice to be able to now do it publicly and really talk about the work that you do.'" The Duchess has donated items of her own over the course of her visits. The Duchess met Ruma who was referred to Smart Work from the Prince's Trust. Unemployment has long been a priority for Prince Charles and given their close relationship, it's interesting to see the connection. Smart Works described the process as "magical". "The tangible impact that our service has on a woman’s confidence is something we have the privilege to witness every day. The magic begins when she enters the dressing room and is styled into her interview outfit, hers to keep, by trained volunteers. She looks in the mirror and sees a new and impressive version of herself." A message from Karen who landed her job. Meghan turned stylist as she helped Patsy accessorise an outfit for her new job. You'll notice the camel cape is very much to Meghan's taste. Royal reporter Rebecca English spoke to Patsy afterwards. "Patsy Wardally, who’d been out of work for 16 years, said: “It was so exhilarating to meet the Duchess. She picked out a Hobbs cape, a pair of earrings, a bracelet and a handbag for me. She chose things that were fantastic and now I feel much more confident and more beautiful." And an accessory or two to complete Patsy's lovely look. 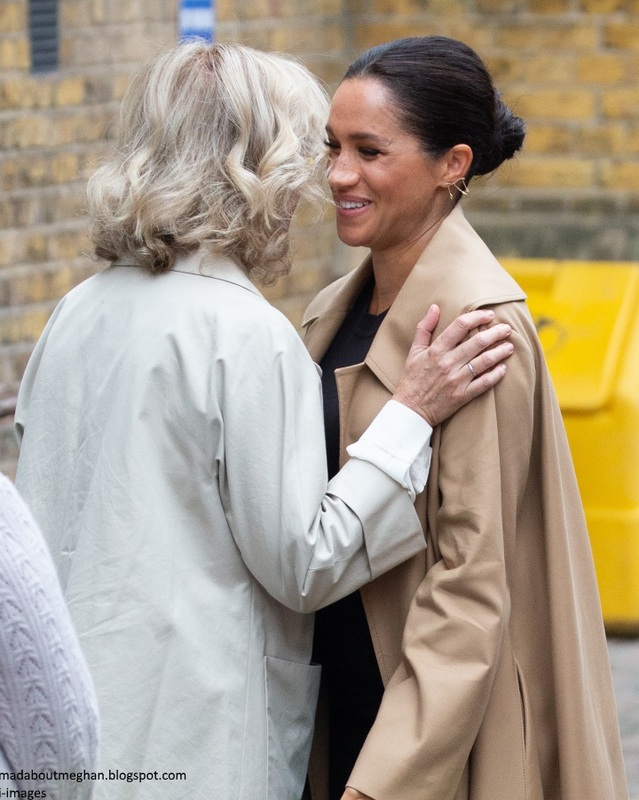 Over her visits, Meghan has offered advice and enjoyed choosing looks with the women as they prepare for their interviews. If you would like to find out more or donate please click here. The Duchess wore the sand Oscar de la Renta cotton-twill coat. Made in Italy, it features a swinging silhouette with oversized lapels. The piece is described as "endlessly elegant and utterly timeless". Meghan sported the Eliza dress by maternity brand Hatch. The midi dress is described: "The Eliza Dress is fit to grow with you during all stages - made in a two way stretch cotton viscose knit – you won’t find anything more comfortable that’s this appropriate for any and all occasions. The dress features a subtle ribbed crew neckline detail and matching rib detail around the arm opening." 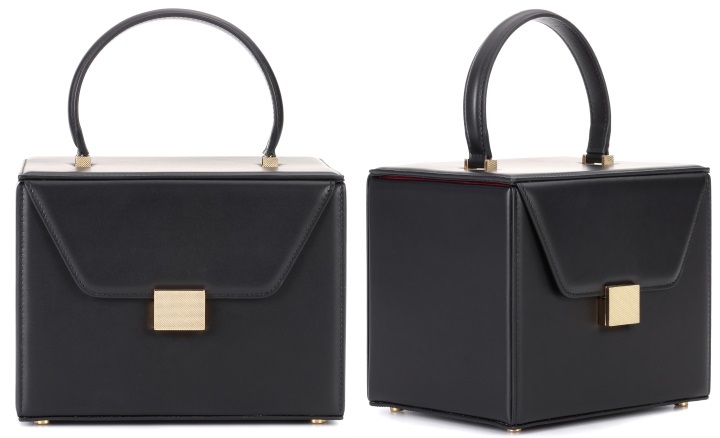 It's available for $218 at Hatch and ShopBop. It looks like Meghan wore the dress for her visit to the ACU in December. More on the background of the brand: "Born out of a desire for something chic and elevated, Ariane created HATCH to fill a void in the maternity clothing market. With this in mind, she created an original line of chic and timeless clothing meant to be worn for every stage. A mother of two, Ariane formerly worked on Wall Street and is also the founder of a bridal clothing company. She believes in the power of clothing for before, during and after and that getting dressed should be simple and fun." Meghan injected an eye-catching print into the look with a pair of Gianvito Rossi pumps she's had for years. 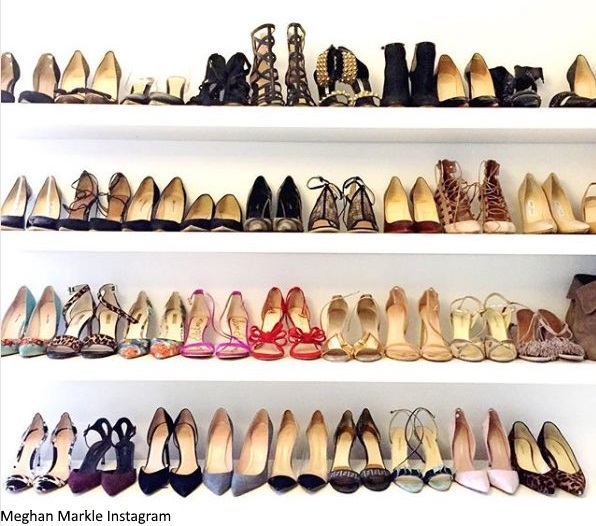 Meghan's Mirror spotted the pair from an old Instagram shot Meghan posted of her shoe collection. They are the Plexi style in cow print. Meghan wore them for a photoshoot for Gritty Pretty magazine in 2015 (with thanks to What Meghan Wore and Perth Fashion). The Duchess carried the stylish Victoria Beckham Vanity Box leather tote. And completed the look with a pair of Kamai Felicity earrings. All pieces from the brand are ethically made featuring lab-grown diamonds set in 18K gold. With thanks to Meghan's Mirror, Christin and Lauren for their ID work on the look. Now, an overview of Meghan's other patronages. They are all terrific choices focusing on areas Meghan has long been passionate about. As predicted by many, the Queen has passed her patronage of the National Theatre to her granddaughter-in-law. Last month Roya Nikkhah revealed the Queen invited Harry and Meghan to Buckingham Palace to discuss possible patronages over tea. Given Meghan's career as an actress and her theatre studies at Northwestern University, it's an ideal fit. Last month Meghan enjoyed a private meeting with director Rufus Norris and they discussed plans for the role. Meghan will work with Norris as he strives to attract a young, diverse audience in the years ahead. 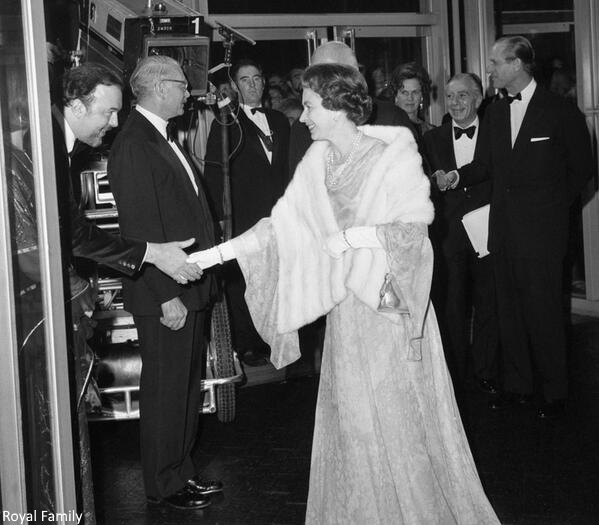 'The handover from the Queen will lower the curtain on an association going back decades. One part of Meghan’s job will be strengthening connections between the theatre and American benefactors, and the hope is the Duchess will add a ‘Meghan dividend’. 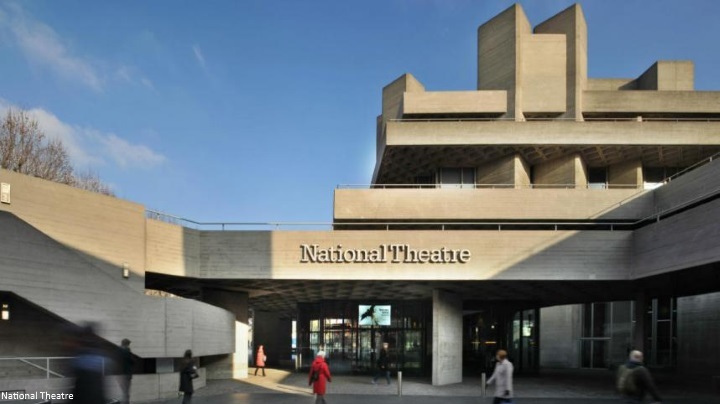 The National Theatre has an office in New York and many of the company’s most successful productions including History Boys and War Horse have opened to rave reviews on Broadway. Part of the role will see Meghan becoming involved with The American Associates of the National Theatre – a New York-based charity which contributes more than £3million a year to supporting the National’s work. The National Theatre is one of the leading arts venues in the UK. Founded by Laurence Olivier, the company's first performance of Hamlet starring Peter O'Toole opened in 1963. The venue changed in 1973 from the Old Vic to its current location on the South Bank; the opening was attended by the Queen. More from the website: "In each of the years since, the National has staged over twenty new productions. 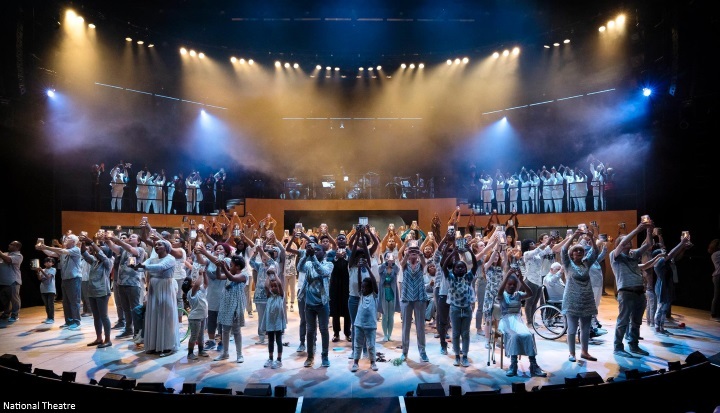 Several different productions can be seen in any one week and there are over 1,000 performances every year, given by a company of 150 actors to over 600,000 people, with many more seeing NT productions in the West End, on tour or via NT Live cinema broadcasts." Upcoming shows include When We Have Sufficiently Tortured Each Other with Cate Blanchett. I expect we'll see Meghan attend a variety of events and performances in her role. The Queen also handed Meghan her patronage of the Association of Commonwealth Universities. Given Meghan's role in the Commonwealth and interest in education, it's another splendid choice. In December, Meghan visited the ACU at King's College London to discuss higher education opportunities for young people all over the world. Discussion focused on the role of universities in addressing human trafficking and modern slavery, gender equality and inclusion, peace and reconciliation, and climate change and resilience. Among its key principles is the value of higher education to society – or its role ‘as a common good’ – and the conviction that this value is enhanced by international collaboration. The ACU manages international scholarship schemes – including the UK government’s three major scholarship programmes and The Queen Elizabeth Commonwealth Scholarships – that offer life-changing educational opportunities, convenes universities to address key policy challenges such as climate resilience and peace and reconciliation, and promotes the role of universities in delivering the UN Sustainable Development Goals. "The fact the Queen has bestowed two patronages on 37-year-old Meghan so early on - and ones that she has held for decades - is a ringing endorsement of the new duchess’s work within the Royal family." Meghan's final choice reflects her lifelong love of animals. Mayhew is a grassroots charity working tirelessly to improve the lives of animals both in London and internationally. Mayhew looks for innovative ways to reduce the number of animals in need through pro-active community and educational initiatives and preventative veterinary care. This includes working with homelessness charities across London to ensure people and their dogs can be kept together; running a pet refuge programme to provide shelter and care for the pets of people in crisis for short periods of time; and educating young people about animal welfare and the importance of responsible pet ownership. Internationally, Mayhew works with governments, local communities and charitable groups in Afghanistan, Georgia, Russia and India to help improve animal welfare. 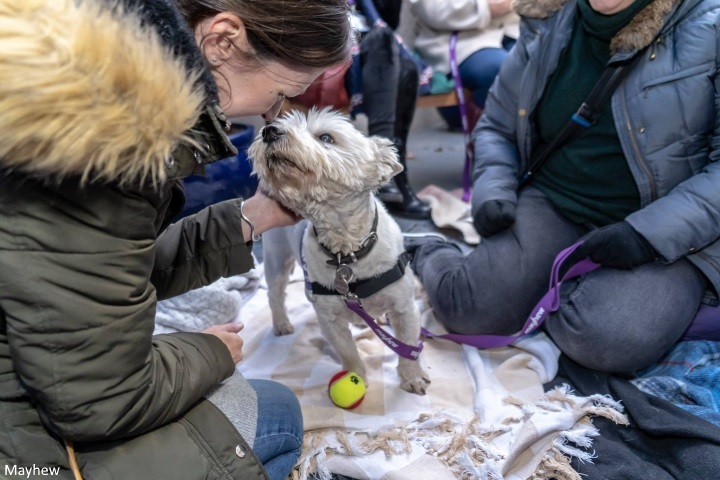 In 2018, Mayhew handled over 1,000 welfare cases, rehomed 98 dogs and 380 cats. They vaccinate over 32,000 dogs against rabies overseas to name just a few of their achievements. Kensington Palace noted: "The Duchess has long understood the connection between animals and community welfare, and has supported various animal rescue centres in Los Angeles." During her time in Canada, she adopted two dogs. The Duchess will publicly visit her other patronages in the coming weeks, beginning with a visit to Mayhew on Wednesday. In other news, the Duke and Duchess will spend Monday, 14 January in the town of Birkenhead, Merseyside. The packed day will encompass an array of engagements focused on highlighting the area and causes Harry and Meghan are passionate about. In addition to the itinerary below, we can expect one or two embargoed events which will be revealed on the day. Their Royal Highnesses will firstly visit Hamilton Square to view a new sculpture erected in November to mark the 100th anniversary of Wilfred Owen’s death. The Duke and Duchess will unveil a plaque to mark the visit, before meeting local veterans and members of the Birkenhead Institute Old Boys, of which Wilfred Owen belonged to, and which played a part in the creation of the tribute. Harry and Meghan will then have the opportunity to meet members of the public gathered in Hamilton Square. 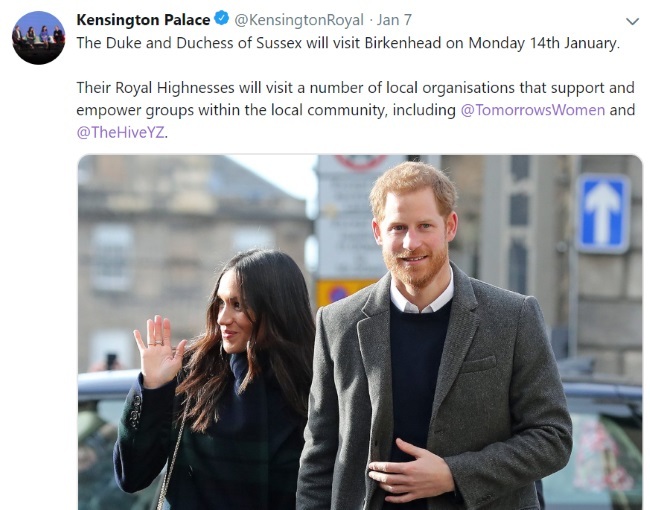 Their Royal Highnesses will visit Tomorrow’s Women Wirral, an organisation that supports women in vulnerable circumstances. Their Royal Highnesses will lastly visit the Hive Wirral Youth Zone. Created by the charity OnSide Youth Zones, which is developing 21st-century youth facilities across the UK, the Hive provides a safe environment where young people can come and enjoy themselves, building key skills and raising their aspirations and confidence. In case you missed it, part one of our 2018 Year in Review was published last night. Click here to view it. Finally! Very happy to see this beautiful young dynamic woman, this adorable future mom very very pregnant. You’re going to have a lot of work to do, Charlotte, and I look forward to reading you, and I thank you in advance for the great and superb work you’re doing. The Duchess of Sussex is a ray of sunshine. This is a bright, beautiful, modern future mom. Beautiful and remarkable Duchess of Sussex. I suppose the press will be all over the place. The duchess has a huge but very cute belly. As an Austrian I was never really interested in Royalty - ours having been abolished 100 years ago. However I am an avid Suits watcher and always loved Meghan's style which is why I was kind of interested of her transition into her new role. I have to say I really like her fashion choices, I love her clean, very modern and chic look that can be an inspiration for every working woman and is what I myself gravitate towards. Today I have serious coat and shoe envy. The cut of this coat is exqusite and I love the special touch that the pumps give the whole outfit. Also nothing wrong with a solid black dress for showing up to work. I really admire Meghans thoughtfulness, she seems so well prepared at her engagements that you really believe her that she does care and wants to make a change. Great choice of patronages! Totally agree! She always looks so polished, but what I admire most about her is how much effort she puts into her work and how much she cares. She's always inspiring me. Love her from head to toe!! She looks wonderful and I especially love her shoes and coat! Just finished my own pregnancy so I enjoy seeing her maternity choices which are closer to my own taste. Plus I love her patronage choices... I admit I find them more interesting than Catherine's although of course all the causes are massively significant. I think this one is really good because it's wonderful to see two women of color bonding and supporting each other. The Duchess of Sussex makes my heart swell with pride and happiness. I adore her - such a kind clever woman and on top of that, she looks sensational and elegant all the time. We in the UK are so lucky to have her. I have to say, as if I didn't already love her, the fact that she chose an animal welfare organization as one of her patronages really takes it next level. I agree. I'm a huge animal advocate and am looking forward to her visit. Hope she takes her pups as Camilla does when she visits Battersea! I agree. I just adopted my second rescue pup and I love seeing some more love from the animals from the BRF. Mayhew seems to tie in animal welfare with people welfare, by supporting those who need to house their dogs while they manage a crisis and by focusing on keeping animals with their families, which seems so important to me as an animal really is a part of the family. Very well chosen, and wow I love those earrings! And that trench! So interesting but still classic. Yes!! It's a patronage I would want to choose if I were royal and I'm so glad to see her undertaking this important area! I have a rescue pug and enjoy volunteering at animal shelters when I can. Bravo, Meghan! I'm surprised there are only four, to be honest; HOWEVER, she is going to have a baby in a couple of months! I imagine more will be announced in due course. I think they are really good choices and reflect all the issues we know Meghan cares about. It will be really interesting to see what she has in mind as she moves forward as I get the distinct impression Meghan likes to be more than just a figure head. And this was an excellent start I think. I've seen quite a few dress for success type organizations, but interesting this organization focuses on chronically unemployed women. And a 60% success rate is amazing. I wonder if she talked to Charles about this, as I see one of their clients was referred by The Princes Trust. And as far as the fashion, love it. She looks lovely, and professional. And maybe has a bit of a tan? You can't get enough of the good things, right bluhare? :) I look forward to seeing her out and about visiting these charities, and also the future ones, I think there is a lot more to come. She proved it again, she meant what she said about those boots, and truly the best thing that could have happened to the royal family. She looked so lovely, pregnancy really suits her, and those shoes, oh my, killer heels! I think Meghan has plans, and we'll see what they are! I imagine she's focusing on the baby right now, but we will see soon. I've really been impressed with her so far. I've been really impressed by how her focus continues to be on her role AND her future baby, not that any of us expected anything less. It's honestly refreshing, and I feel like I can feel her energy through the computer screen lol! It was my understanding that she will announce more patronages in the coming months/year. For the first ones, though, these are great choices. I'm very excited to see what she does in each area. These are royal patronages. She will also have her private charities which she will choose. The community kitchen, for example. I think getting the name of the monarch or POW on a letterhead is all that is expected for some organizations. In contrast, it is good to see some of the other royals going for an in-depth approach and bringing a modern, meaningful emphasis to the old custom of royal patronages. I think you might see a conscious effort by the family not to outperform Kate so that there are not comparisons about the two women's overall efforts. I expect to see Meghan do a lot of consort work with Harry regarding the Commonwealth which will increase her appearances. I think Kate was given four to announce in January in her first year. I think with a few patronages, the natural royal year, Commonwealth engagements, a possible fall tour and a new baby - this year may not be too focused on engaging independent UK charities. Moxie, you test me sorely. Not gonna say it, though. Glad i can entertain, becca! I think you are right,too. Much better to start slower and build than race out of the gate and fizzle. Anniversaries, Ascot, Trooping the Color, Garden Parties, Tours, Consort of Harry appearances... so I don't see it as holding anyone back, but there are other ways Meghan will be out in the public sphere as a member of the royal family and she's having a baby. She and Harry also take a lot of time for themselves doing what rich people do - whatever they like. I think her life will be organized into 3rds - Being Mom and Wife, Hanging with Friends and Family at home and abroad, Public life as a Royal. That is a good selection of patronages. I don’t really get behind Mayhew but the rest fits perfectly to what she has shown of herself. Love the black dress and coat. It’s a classic combination. Loath the shoes. Sorry, but a cow print is just mehh. Her sartorial choices are always a led down for me. I much prefer bigger pieces but I don’t think her style is ever going to evolve in this direction. Well, you cannot have it all, can you? To end on a solely positive note: I love that she took the time to visit her patronage more than once beforehand. That rings very dedicated and responsible to me. Hopefully she manages the visit them at least once a year as long as she doesn’t have to many. I totally can see her doing it! Just a question, you don’t personally get behind Mayhew or you don’t think it fits with her interests? I don’t see how it fits her interests beyond having pets. I would have understood wildlife but this particular one was definitely a surprise to me. C, many pet owners are passionate about animal care and welfare. To me, it makes perfect sense. Fascinating that she has been going to Smart Works since before her engagement! They have seen her change from very slim to very pregnant. Members of the Royal Family are already involved with a number of animal welfare organizations. The Queen is patron of the Dog Trust, the Royal Society for the Prevention of Cruelty to Animals, the Kennel Club, the Royal Soceity for the Protection of Birds; Princess Anne is patron of the Animal Health Trust, Hearing Dogs for Deaf People, the Moredun Foundation, the Royal School of Veterinary Studies, the Australian Veterinary Association, World Horse Welfare. Camilla is patron of Battersea Dogs & Cats Home, the Animal Care Trust, the Brooke Hospital for Animals and Charles president of the WWF UK. There's even more than that for other members of the BRF as well as the ones mentioned above. Not to say that Meghan's patronage is not great and important, I like it a lot, but other members of the BRF are involved with those sorts of issues as well. Anon 21:46 -- thank you for telling me about those patronages. I obviously spoke without looking into the topic. :) Those are terrific groups and I'm so glad to read about them. There must be so many deserving groups to choose from. I should have known about Charles' group at least. Thanks again!!! I'm in the US. The Queen's lifelong love of her corgis and her horses was what first drew my attention to her. I admired her for her love of animals, but now also for many other qualities. It seems, too, that HM and Meghan also bonded over their shared love of dogs. Loved the photo of HM chauffeuring Guy the beagle! You should see when camilla goes to battersea, allison. Shes takes her two jack Russell terriers (who she got from battersea!) with her. I imagine mayhem ensues, being jack russells! bluhare, that must be something! Jack Russells are loads of fun! I'm so excited for this coming year with Meghan and her new patronages. She looked so engaged and elegant! Her posture is amazing!! I thought today she styled that baby bump to perfection. I agree -- her posture is absolutely stunning! Very interesting first patronages and all within her wheelhouse. It is a bit of a head scratcher that she’s been able to visit this place all year without so much as a peep of people reporting to have seen her, especially if she’s had interactions with people that are using the services of the organization. I look forward to seeing what work she does with her new patronages as time goes by. On to the clothes. Her outfit was fine. I don’t really love the coat, most specifically the collar. The dress is good. It looks very much like something that is her style, very simple and minimal and I think it looks good on her. The shoes are awful though. I hate clear plastic in shoes. The earrings and purse are very cute. Someone asked the same question on twitter(though in a much nastier way). But it is a good question. The people she was working with must have been seriously vetted and trusted to keep quiet! Love her and think she looks fantastic! I bought a turtleneck from Hatch when I was pregnant and I still wear it all the time. Haha. I just caught on to Hatch. For some reason I was thinking as in an opening on a shop deck not baby chicks. Meghan's classic simplicity in fashion is an absolute joy to see. She always manages to accessorize in just the right way to give her overall look a little sparkle. Her hands on approach is not new. She will always be more then a 20 minute pop in princess. It is who she was long before she became a member of the RF. People should not be surprised. As patron she is really choosing wisely and in consideration of the fact that she has not yet been married a year and expecting I think she is more then on target in accepting her role in the RF and showing all an example of her work ethic. Wow Meghan just gets more beautiful the more pregnant she is! And I love her choices of patronages. National Theatre is a treasure, and animal welfare is very important. Love that HM is entrusting her with these patronages. As for baby speculation I'm thinking late March or early April? She looks well into her third trimester. Wonderful! I am so proud of our American girl! They are very lucky to have her. She will do some great work with these patronages. Clearly the Queen sees and knows that Meghan is capable and worthy. Now if only the rag mags would stop attacking her! I agree Diane Brown!! She is a treasure. Every time I see her interact with people and hear similar feedback (she is warm/empathetic/gracious) I imagine how positively thrilled Diana would have been for her youngest son and his wife. These patronages are a great match for her and she will make a strong and positive contribution to each. P.S. Love the shoes! She looks terrific. I agree. It's clear how much the Queen believes in her and I admire how Meghan continues to keep her head down and do the work. Really excited about these four patrongages! What a lovely post and what great patronages! I'm most interested in the NT one as I've attended a number of NT Live broadcasts here in Prague (theatre in cinema). It's going to be interesting to follow Meghan's work with the NT. All the other patronages are very well fitting too. Not a fan of the coat. I think it’s too big all around, that’s the style I know but the lapels and the swing style is too much. And she has 3-4 trenches that are very similar so it seems very costly, I guess that’s just what makes her feel beautiful, I’m the same way I gravitate to clothes in the same shades and slightly different cuts, but mine are just cheap cheap cheap!!! The dress is great Maternity!!!!! Finally finally. She just looks comfy and when you are pregnant that’s what you want. I like the idea of the shoes for a pop with the neutrals but I personally am not a fan of cowprint but it works. The earrings and bag are amazing. Good selection of patronages to start. She looks amazingly happy and that’s all you can ask for! I like the coat, but not with this outfit! A soft grey or even a dark teal/or a pale color, would have been nicer, and still broken up the black! The dress shoes and bag all go nice. Not a fan of the earrings. The shoes are so fun! Nice to see a print on a shoe!! Completely agree with everything you said!! I would change the coat too, but I do like her earrings. Meghan looks wonderful in this dress. The Patronages seem like a great start. An umbrella of areas she's passionate about and reflect her background. Theatre, Animals, Education, Empowering Women. Plus a commonwealth connection. She seems really happy and engaged. As for the inevitable bump commenters, it's her first pregnancy, everything is a blow your mind experience and especially for a woman who has the world judging her and looking at her every move, give her a break. She seems to be happy and embracing this exciting and much wanted pregnancy. Let her be her. I agree she looks really happy and comfortable in her own skin. Her bump seems very high so I think it will be a while before the baby comes, maybe late March, early April. I believe she is having a girl. Her bump looks like the one my close friend had - she is very short-waisted so the bump was up high right under her chest. I think Meghan is the same (short waisted, long legs). Compare to her appearance at Twickenham. She may be wearing a maternity foundation for this event. It would support the abdomen and lift and hold in somewhat. I noticed her belly when she was sitting in these photos was flatter than the more rounded appearance previously. She photographed quite differently from behind/side as well. A much more stream-lined look here. The use of maternity foundations was common and recommended before the advent of the 70's and women's lib. I think the garments were considered constricting and not wearing one an expression of shedding the shackles of traditional female roles. (I'm serious! "Ban the bra?" )I think movements sometimes tend to overshoot a target initially. Personally, I found a maternity foundation, sometimes including an upper foundation in one piece---a corset, supported the abdomen and took some of the strain off my back. If Meghan is wearing one, I think it a wise choice. I have never even heard of this garment that you’re speaking of, but I have to admit that pregnancy or the history of maternity wear has never interested me, so I wouldn’t have looked into it. Fascinating though what you speak of. I’ve read rather awful things about Meghan’s body during her pregnancy and I don’t like to comment about that, but maybe this garment would explain away the things that some people are trying to accuse her of doing. Or not, some people want to accuse her of all sorts of crazy things. Unknown, re acting bug. I believe she said in The Tig that acting was a means of funding her humanitarian efforts. She was a theater major at NWU, which is not surprising as she reportedly "grew up on the set of "Married...With Children" and in the LA area. Other than in college, most of her acting experience was in television. It was a known world to her. I entered a field my Father was in. It wasn't because it was my first choice but because he very much wanted one of us to follow in his footsteps. I did not pursue the work I felt called to until later, once my children were in school. Maybe Meghan's path was channeled in a similar direction. She seems as though she has come into her own. I really enjoyed her performance in Suits. I actually did not start watching it until she and Harry became an item but I am glad I did. However, I somehow doubt acting was ever what she considered her life's work. I think her numerous interviews and writings bear this out. Her previous acting career makes her a good fit for the patronage--she will bring more to it than someone with no theater experience. I think I see the Queen behind this choice more than Meghan. The Queen was an amateur thespian as a girl and probably has fond memories of those times. I do believe that maternity support undergarments were very popular. As you mentioned Annonymous they offered great support especially for the back. I would not be surprised in the least that Meghan may be wearing the most common foundation today, SPANX! It would give her both support and a beautiful smooth line in her dress. Oh the complexities of being a woman!!!! Thanks, USA Granny! I was starting to think I was living in a time-warp. I meant to mention something that likely most determines the appearance of the pregnant abdomen--the position of the baby at any given moment. They are active little swimmers and by the third trimester are starting to fill out their cozy home in a way that restricts movement in some positions. It is similar to turning from side to side and moving one's arms and legs about to get comfortable in bed. I don't think being "short-waisted," comparatively short from shoulder to waist, really effects how a pregnancy is carried. What matters, as far as the mother's anatomy is concerned, is the width of the pelvis and the length of the space from waist to lower abdominal area. Some of you will recall your OB actually measuring this area in the early months of pregnancy. Ordinarily, I would consider discussions of anatomy a TMI situation in a forum such as this. I just recall some of the hurtful and sometimes bizarre things said about Kate's pregnancy, especially with George. If such remarks are being are about Meghan they need to stop. Perfect matches!!!! I am happy for the Duchess of Sussex. Thank you Charlotte for such a wonderful detailed report on the patronages. I'm surprised but delighted that the Queen is handing patronages over to her so soon. What a great step for Meghan. I love her hair in this--so sleek and professional looking, a great "interview ready" style that she can wordlessly model to the clients she met. It's not complicated or fussy, so it's replicable. Loving it all! COVET THOSE EARRINGS. I'd like to point out that Meghan's chic black dress also does double duty as a stylist's uniform. Most fashion stylists wear black when they're on the job so that they don't detract from their work, which often features colorful prints and a variety of textures. I'm so looking forward to the next few days full of MM! She looks darling. She's in a bodycon dress and that's very modern. I really like the ODLR coat but I feel that when Meghan got out of the car perhaps it ended up a little out of kilter. And is it possible it might be slightly too large for her? It's a beautiful coat IMHO. The shoes were a nice way to dress up the look - I don't love them personally but they have been in Meg's closet for a while so she likes them. I'm drawn the earrings. I love something that is unique and different and I've not seen much of this style. It's just wonderful to see her out and about, receiving her patronages, and watching her get down to business. So funny that someone didn't like the purse she donated. And how cute is she in that 2015 photoshoot! Love the denim shirt with the white lacey full skirt. Question please...Is the newspaper, The Express a legitimate paper? I'm asking in contrast to a gossip paper. I have read several articles over time in following the royals and have come to the conclusion as we say in the USA that they like to "stir the pot". This is not a positive expression. It relates to saying unnecessary things that can/do cause problems. Every article I read seems to have a negative plot when you read between the lines in relation to the RF. I love your "stir the pot." I grew up in NYC riding the subways daily. I used to love to get the NY Post or Daily News because they totally stirred the pot but with a sense of humor. You knew to take those storied with a "grain of salt." Nowadays, however, the tabloids have become so mean spirited which is why I'm so ecstatic to have found Charlotte's website for both of the Duchesses. Lovely, positive articles and pictures with readers having respect for one another even if you disagree. Amazing! Unknown, I was just thinking about that! I was a teenager in Brooklyn and those "papers" always had people divorcing and/or having affairs and being taken by aliens (real aliens from Mars). It was read but never believed. I absolutely adore your reply Unknown. It is a small world, I also grew up in NYC riding the subways and reading the NY Post, Page 6 especially. Today, as I leave the market and see the newspaper bin with The Post sitting looking back at me I will stop, park my cart and have a free read of Page 6! LOL. I agree with what you posted in reply. I am just confused by the number of gossip rags in the UK vs established papers one picks up for accurate information. Thanks for the memories in reading your post. One thing I've noticed is that the journalistic system in the UK is rather different from the one in the US. Here in the US, for the most part, quality newspapers and journalistic outlets print quality articles that are substantive and fact/truth-based. Those outlets in the US that choose to print salacious gossip/rumors or uncorroborated stories with no factual basis are usually referred to as "tabloids". It seems in the UK that quality fact-based journalism shares the same platform with salacious and non-factual material. For example, "The Daily Mail" sometimes offers quality fact-based articles, but it also offers the salacious garbage too. "The Express" (as mentioned above) does the same thing - one can find quality stories and the salacious ones in the same paper. Personally, I find this very frustrating and annoying. I prefer the way our journalistic system works in the US, where you can avoid the tabloids that only offer rumors and salacious garbage, and choose those quality newspapers/magazines that provide fact-based journalism. It is extremely rare that I have any affirming words for "The Daily Mail", but I commend them for printing the article James Middleton wrote about his journey with depression, ADD, and dyslexia. I strongly urge everyone to read it. It takes a lot of courage and strength to not only speak about one's struggles with mental illness, but it requires even more strength to live with any mental illness. I live with severe depression and PTSD, and have since I was 5 years old. I'll be 37 in two months, and I truly cannot remember life without mental illness. It is a journey that really cannot be completely understood unless one has been there themselves, and even then, each person's struggle with mental illness is very different. I am proud of James for writing this article and sharing his story. He speaks about the importance of Heads Together and the work his sister, William, and Harry have been doing in that initiative. If anyone needed proof or a reminder of how valuable their work in mental health continues to be, James is offering that with his heartfelt words and insight. Please read it. Sarah, I am so sorry for your struggles. I was also very uplifted by James' story. And I found photos of his life to be wonderful -- he knows he is privileged, but good for him to find what makes him happy. It's hard to find your way when your mother was such an amazing businessperson and your sisters "married well." I like him so much now that he's allowed the world to know him. And it gives a boost to Kate's mental health advocacy. Sarah, Congratulations to you for your willingness to share and bring much needed attention to the struggles people have with depression and PTSD. The result of your post will possibly give other readers the courage to speak out about themselves and ask for help. You are very courageous, thank you. WOW. Such an influx of exciting news! The horizon is looking big and bright for the Sussexes. The engagement today (and patronage!) was excellent. Smart Works has an amazing success rate and it was fun to watch Meghan get into her element as she helped style the women for their interviews/jobs. At times, it seemed Meghan was aware of the cameras, which would be hard not to do. Watching her pick out bags and accessories, I feel we got a peep of pre-wedding Meghan. But then, that's one of the things I think so many of us admire about her: Meghan continues to be herself at every engagement. She's passionate, and that passion is both evident and inspiring. I think the Queen has definitely shown her support of and belief in Meghan with these patronages. I'm hoping the media latches on to this and gives us a more peaceful year. 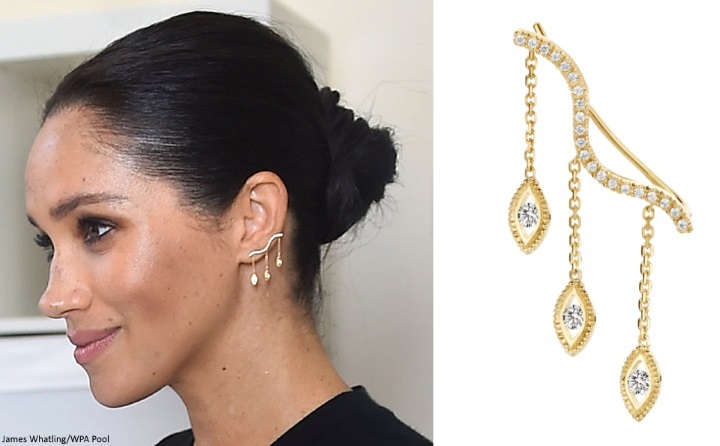 Things I especially love about Meghan's look today -- the earrings and the shoes! Both are fantastic. And the maternity dress fits her like a glove. I could do without the coat; however, it is very Meghan. Now that we've had some patronages announced (and I expect we'll hear more as the year goes on), I'm sure we'll be seeing a lot of Meghan. I'm excited to watch her work, now that she's really beginning to dig into her role. She's not perfect, of course (duh), but I love the work she does and how she keeps her head down and her focus on what's important. Her energy is tangible, which is what I think we all love about her. Duchess Meghan's visit to Smart Works today was a hit judging by the looks on the faces of the women there she was a welcome guest not to mention that Meghan has a great way with people and meeting their needs as well. Her own fashion sense is top notch. Very well on her way making a difference in the world. I love all of it today. I think the choices of patronage’s are terrific. Two with weight, history, and tradition and then two that are more local and organic and very much in line with Meghan’s passions. It do find it very interesting that she has been visiting for some time and no one ever noticed. I love the look today! A fitted maternity dress! The minimal, streamlined classic look Meghan likes but one that properly fits her changing body. I love the shoes! Don’t adore the plastic part, but I love that she played with a fun pattern with some pizazz! A great pop of interest(along with her earrings) for a classic, neutral look. I don’t think anyone expects them to pretend to be poor. I agree with OP that a $2,600 coat seems to show a disconnect is because this organization helps women who have been unemployed for long periods of time. I have commented about this several times; one of the things that frustrates me about Meghan is that she seems to seem oblivious to those around her and that leaves her appearing both oblivious and under prepared. Since the RF displays such expensive clothes on a regular basis, it would be a bit insulting to say, "Because you're poor, I'm wearing a $100 dress today. I'll go back to my usual clothes when I leave." Many of the free clothes are very expensive; I think that's part of the program. These women are as deserving as Meghan of beautiful clothes, so they are given donated items that probably come from a lot of people like Meghan who buy expensive clothes. The remark about today's visit was that her empathy and insight were obvious. Hard to meld that with someone who is oblivious to those around her. I don't see other royals wearing clothes that are reasonably priced -- even $200 dresses are more than I would pay. I'm not poor but I've been poor and at the time $20 was too much to pay. I've given up on the clothes budgets of Kate,w Meghan, everyone -- only Princess Anne seems to be truly frugal. I suppose that's part of hat Harry calls the "magic" of royalty. Knowing they are just like you but enjoying pretending they aren't because of their environment. I think it's a good point you raise; however, if you look at the charity it appears to be very well funded with quite a few prominent women on the board or patrons. They also have a list of clothing donors including Burberry. So I think they have a mixture of high and not so high end clothing there. I don't know for sure, but if someone does please advise. Meghan said she donated a bag which may mean she's donated other things. I agree with Allison, these women deserve to see the Duchess wear what she would wear to any other engagement, to do less would be the true slight. bluhare, I agree. I feel that the donated clothes are either high-end or at least very nice. Fashion-wise I so wish Meghan would choose something other than black but she did look great today. Black and tan is a classic choice, and the shoes were a cute touch. I didn't think "cow" so much as just a free form graphic design, although I'm not a fan of the clear sides. The earrings were nice (trendy?). I think a simple gold chain would brighten up her look a bit. So pleased that HM has honored Meghan with 2 patronages to take over from her. Obviously, the gossips and haters are wrong (again) that the Queen doesn't think much of our Duchess. :) I was pleased to see her working with Smart Works. We have a similar charity in my hometown that I recently suggested my cousin's husband donate her appropriate clothing and jewelry to, as my cousin passed away last year after a very long cancer battle. Meghan's other patronage choices are also a good fit for her interests, a good start to her lifelong work. Thanks Charlotte for a great post. Those two patronages are perfect for her especially since she is an actress. I love her outfit and I love how she cradles her baby bump. I have to say her earrings are stunning and I would love to own a pair but probably could never afford one. She looks lovely and great patronages. Really like her outfit. I have to say however that I could do with a few less similar but expensive coats and the same with the purses, and I am a girl who loves purses. Maybe like the shoes many of these coats and purses are coming out of her closet. I am excited by her new patronages , and the level of confidence HM has signaled by this announcement. The Queen, ever evolving. The combination of black and camel or tan is one I’ve worn for more than 50 years. I first admired it on Jacqueline Kennedy Onassis. Classic and elegant. Way to go, Meghan. I like the shoes, but not with this ensemble. Always delighted to see her charming and engaged. I do hope the messy bun detractors appreciate the more scraped-back, controlled style. I love how Juliet Hughes-Hallett, Chair and Founder of Smart Works is wearing Aquazzura. I can only assume she chose them for this meeting as a wink to Meghan. Great patronages to dovetail with Meghan's life-long causes. I especially like Mayhew for the nature of its programs and the connection made between human and pet health. It seems like Meghan plans to be quite involved with a small number of patronages to begin with. I can imagine her making a trip to New York to draw attention to the National Theatre and Broadway ties, and getting involved with youth and children's programs developed by the Theatre. One of Meghan's major at University was Theatre, after all, and not film, and she performed in numerous stage productions at uni and in prep school. Loved her whole camel and black combo look at Smart Works- a timeless and classic combination. I especially loved the oversized swing-coat, a silhouette I imagined she would favor during pregnancy. Her shoes added a bit of whimsy to her overall look, as did her earrings. I think that her choice of earrings always brighten, and enhance the beauty of her face, and she doesn't seem to wear necklaces to split the eye's attention. I think she looked beautiful in her black dress, and I quite like the body conscious maternity wear, although I didn't like the trend originally when some women started to opt out of the old "maternity tents!" Thank you Charlotte for the post. Looking forward to a new year of adventures for Meghan. Her charities are intriguing and seem a good fit for her. What makes a charity attachment "royal" as opposed to "personal"? Does the former mean that the Queen assigned it to you? Will Kate's personal charities become royal when William ascends the throne? I'm puzzled by the first pic... the woman greeting Meghan appears to have had a problem with the back of her dress. Was it not fully zipped? It's sagging on both sides and her bra straps are visible. Or is this a new look for the backs of dresses and the visible bra straps are the only thing wrong? At first glance it looks like the dress is sagging, Heather. I had a closer look though, and I can see the dress has two layers. The bodice is more fitted, and then there is a flowy layer on top. Yes, the bra straps are visible because she is leaning in, and the camera is pointing towards Meghan, bad angle for this lady :-( ... I guess the bra straps could have been fastened as not to show, but I think most people don't really care about visible bra straps anymore. Haha Becca, me too! I used to be completely obsessed with hiding bra straps, even stitching them underneath singlets for instance.. now .. ah noooo. I gave up too. People wear bras under see through tops all the time (think our own Kate on the catwalk in THAT dress..) and it’s more than ok! I might have to start a new blog... Watching Meghan Watching Plays. It will be an excellent sister blog to my Watching Moxie Watching Others Watch Things. Watch This Space! Moxie's collection of Watching Blogs sponsored by the fine folks who make: Watches. We'll be millionaires bluhare! Or maybe just get a few free watches. One of those things for sure! If one of the watches is a cartier or classic swiss watch, I'm in. Maybe you can get.one.of those spiffy watches with a timer so you can time how long each person spends watching things. What a wonderful, uplifting post Charlotte!!! I'm so thrilled to finally find out what Meghan's first charities/causes are! I feel like we waited forever for this and now seeing what excellent choices she made the wait was well worth it. I wonder if the Queen earmarked these charities before their tea? I can't imagine that she just handed them over a month ago, personally I think this hand-over was in the works well before then but just finalized over tea. I know I say this a lot but watching Meghan interact with others in these videos just highlights to me how warm, compassionate and caring she is. She strikes me as a "girls" girl, you know that girlfriend that just loves other women, who isn't catty or competitive but is encouraging and nurturing. I bet she is a wonderful friend! On to fashion...I love this black/tan combination!! So chic and elegant but yet totally wearable for just about anyone. And how fun are her shoes and earrings?!! I too wear rather basic, neutral clothes but accessorize with fun jewelry, scarves or an interesting handbag. And omg, I want these earrings!!! You just said everything I was thinking:) Perfect charities for her. Really love this one! It's so practical, makes an immediate difference, and she can interact with the actual people who are benefiting from the service. And yes, she is so warm and unpretentious with people. I think that's why Charles and Camilla are so fond of her. She breaks through the British formality with her warm, caring interaction. My mother has this gift of communicating such care for others that strangers share their deep, personal struggles with them because they feel so connected. I think Meghan has this gift and is carrying on the legacy of Diana with her empathy. Fashion- same as Lauri- love it. Posture- same:)- It makes me stand/sit straighter just looking at her. Good example for us slouchers! I hope she doesn't shy away from the spotlight because of the ridiculous amount of criticism. It seems the press wants her in their papers because she must sell. So they are either covering the wonderful things she is doing (and you can't argue or invent stories that she is mean when you have video coverage showing how lovely she is.) or when they get a lull they just headline criticism. She debunks all those bad stories by just getting out there and being herself without having to respond to any of it. Good for her! Great seeing her make a difference. It's so inspiring! Ha! When I saw meghan sitting in that chair I knew we would have to mention it!!! And I admire 5hat shes being herself and adapting her likes to how she presents. Like no tights today, and it absolutely does not look any less professional. That's how she strikes me today. Very chic and professional which is exactly what you want when you are promoting a charity about helping women ace their job interviews. Becca, she looks so much like Doria, you're so right! And my vote is for March -- maybe a Taurus baby? I also saw pre teen Meghan in her face too. Like Kate, she looks amazing pregnant! Regarding’ her patronages.... just for a joke, I wondered what the RF would have done’ if she had not met Harry, so accurate are the subjects of the patronage’s with her private own choices and what she’s did before entering the RF ! I made myself laugh ... indeed she is beginning to fit into her role, getting important charities directly from the Queen , quite happy for her ! Interesting comment about Meghan resembling Doria, Becca USA. I think I see a bit of it too. Also, I think Meghan must have gone for a brief holiday in the sun, as she seems to be sporting a fresh tan. Will there be a year-end poll like the one you traditionally do over at Duchess Kate at Mad About Meghan too? Also, will there be one at Duchess Kate this year? I understand that the polls must be so much work for you. I really appreciate that you put such an effort into both of your blogs. I forgot to mention how nice it was that Meghan greeted the waiting photographers, wishing them a Happy New Year. Yes! Finally something about London. Happy New Year Everyone ! The Smart Works patronage made me cry. Years ago, after an injury and unemployment for over 18 months, I received help from a similar organization called “My Sister’s Closet”. I had only worked in places that required uniforms, and was going for a receptionist position. It wasn’t just the clothes, the shoes and purse , and a necklace boosted my confidence. I received two outfits that coordinated with what I wore to the appointment, and we got four days worth of clothes for me. You can guess where I donate my career pieces in my community.